In my eyes, Joe Pierre has always been a mountain of a man. He was my basketball coach and I remember his slender 6’6 frame towering over elementary-school hoops and his composed voice echoing through the weathered floors of Amy Woodland Elementary in Cranbrook. So it’s only fitting that we’re back on that same weathered floor for an interview about the fight to protect Qat’muk—to keep Jumbo wild. 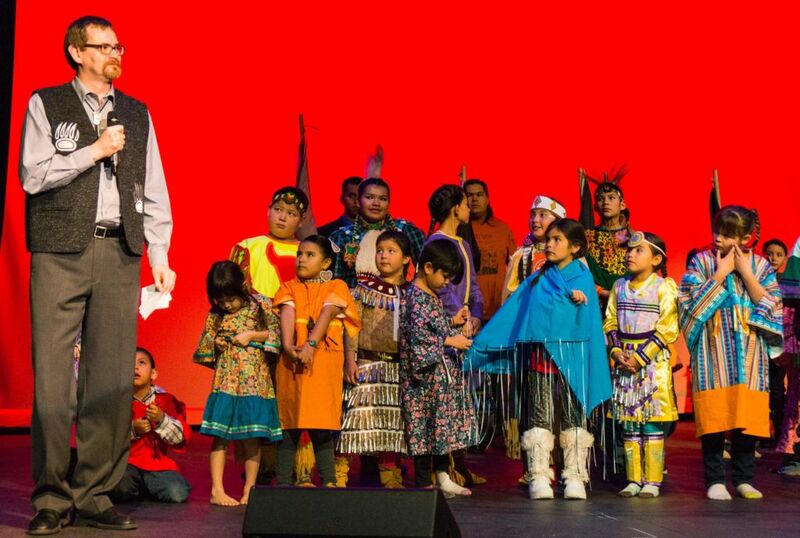 Joe is a Ktunaxa storyteller, works as an educator with the school district and is the Chief of ʔaq’am (St. Mary’s Band, near Cranbrook). The conversation we have is powerful. We talk about his people’s history—the Ktunaxa have lived here, in their traditional territory, for 400 generations. We talk about sacred places and our responsibility to all living things. Joe has been deeply involved in the fight to keep Jumbo wild and every summer you can find him at the Ktunaxa Nation’s annual Qat’muk camp. This is the first in our three part interview with Joe. 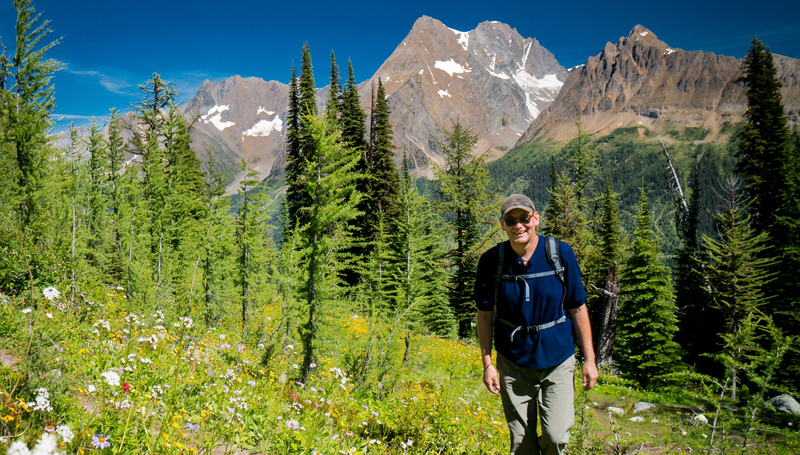 The bears, our mountains, and the people of the Kootenays are so fortunate to have Joe and all of the incredible people within the Ktunaxa Nation fighting to keep this sacred wilderness wild. Eddie Petryshen: What’s your leadership position with the nation? Joe Pierre: Recently I was voted into the position of Chief or Nasu?kin for my community. Technically it’s actually Chief Councilor because we have 5 Councilors in my community and one of the five is Chief Councilor. In our language we call it Nasu?kin: a leader. Traditionally, we had many different types of Nasu?kin depending on what had to be done at the time or the type of leadership we needed. My position right now as Chief of ?aq’am is that I’m an elected chief of the community, which means that we are following rules that have been imposed on our community from the Department of Indian Affairs so we have these elected positions. And so I am an elected chief. Whereas in the Ktunaxa Nation we do have chiefs who may not be an elected, but they are looked at as Nasu?kin or chief for their leadership. EP: And your cultural position at the Nation? JP: I have the great fortune of being recognized by a good number of people within the nation as a storyteller. I take that pretty seriously as well. I try to always remember the people that were ahead of me as storytellers. I’m always acknowledging those who have come before and acknowledging my mentors and teachers. I’m trying to acknowledge Ktunaxa culture—the oral culture of the Ktunaxa people. It’s only very recently that we can actually write in our language. For millennia, the Ktunaxa people have been an oral culture. Our history is in our stories. Our understanding of who we are is in our stories. The way that we teach and learn is in our stories. Being a storyteller is a lot of responsibility and so I say that I get to be a storyteller because people recognize me in that way and people encourage me. But I do know that I came to be a storyteller because of conscious choices I’ve made. One of those choices was studying the arts in university. Maybe I wasn’t thinking about our Ktunaxa storytelling then, but when I made that choice in university it was about story and storytelling. “Our history is in our stories. Our understanding of who we are is in our stories. The way that we teach and learn is in our stories. Being a storyteller is a lot of responsibility.” ~ Joe Pierre. Photo: Pat Morrow. EP: Archaeologists have found some of the oldest man-made artifacts in Canada right here in the Ktunaxa territory. I understand that Ktunaxa history in this area is deep and profound. The pre-contact Ktunaxa lifestyle is so intertwined with land stewardship. I can only imagine what it would have been like to have such a deep cultural and historical connection to this landscape. How does that connection to the landscape affect your life, and the life of other Ktunaxa, today? JP: One of the things that I think about immediately is the two major rivers in our area—the Columbia and the Kootenay. 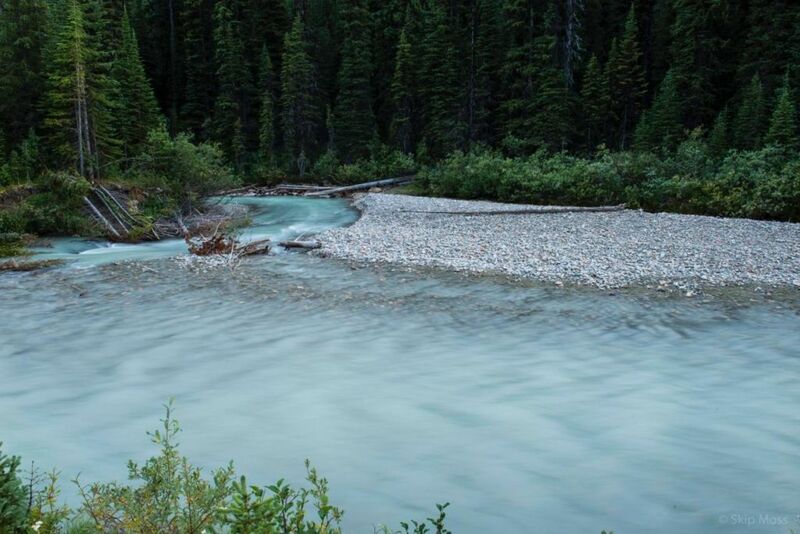 The Ktunaxa feel a huge stewardship responsibility to care for the water and the waterways in our area. I spent a lot of time in Calgary when I was younger. So I would drive back and forth through the mountain passes that separate Calgary from the East Kootenay. Somewhere out there in the mountains is when I would feel as if I was either leaving home or coming home. Usually home has to do with where our waters reach and flow. Our waters don’t reach over the Continental Divide. Our waters reach to the height of land and flow into either the Kootenay or the Columbia. Thinking about those pre-contact times, I can imagine Ktunaxa being very connected to the water. Water is life sustaining. One of the things I try to do with my son is teach him about the flow of water. When he was a young kid, I would sit him down beside the creek or the river. I remember when he was a little boy, I sat him down at the location of the Qat’muk camp, which is at the confluence of Jumbo and Toby Creeks. I reminded him that Jumbo Creek flows out of the Jumbo Glacier and Toby Creek out of the Toby Glacier. Jumbo flows into the Toby, which flows into the Columbia. The glacial blue waters of Jumbo Creek. I did this at a lot of the creeks in the territory. Now that he’s older, as soon as I say “Columbia River” he will say “and the Kootenay flows into the Columbia, and the St Mary’s connects to the Kootenay, and Joseph’s Creek joins the St Mary’s, and we live close to Joseph’s Creek.” So for him, at that young age, I was trying to instill the idea of being home no matter where you are in the territory. Now, all I have to do is put him next to the water and as soon as he realizes that the stream or river connects to the Columbia or the Kootenay he immediately recognizes that he is home. EP: Can you explain the importance of Ktunaxa stories? JP: I’m very influenced by the fairly prolific aboriginal writer Thomas King. In the early 2000’s he did a series of lectures called the Massey Lectures. One of his main messages was that storytelling is really all we are as human beings; it’s how we know who we are. Storytelling is how we understand one another and it’s how we understand ourselves. I truly do believe in that. That lecture made me think of the Ktunaxa stories from my childhood that shaped me. 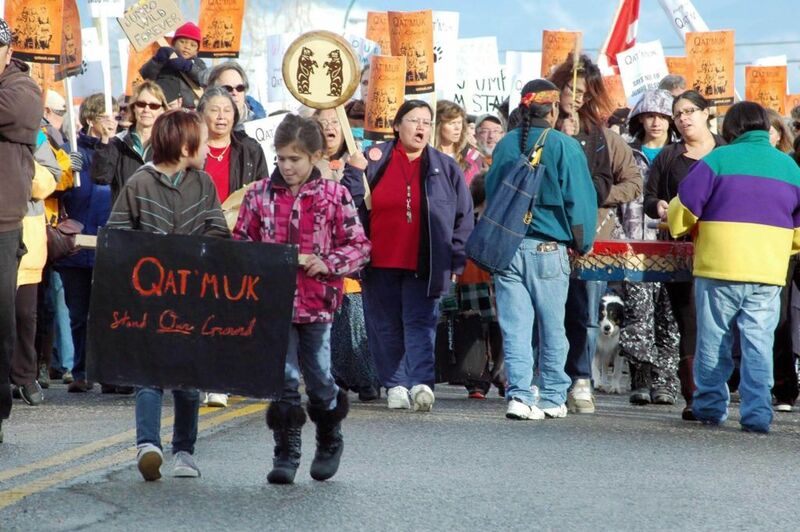 EP: Could you explain the Ktunaxa concept of ?a-kxam̓is q̓api qapsin (all living things)? JP: All living things is the idea that all living things are interconnected. What we do affects all living things around us. We have to be mindful of our relationship with all living things in order to make sure that we aren’t taking anything from any other living being in a detrimental way. As human beings we have basic needs; food, water, and shelter. We were placed upon the earth and the earth had everything we needed to survive. If you think about the mines that dig rocks out of the mountains here in the Kootenays, the reason they are taking that material out of the rocks is because of the potential energy that lives within those rocks. If you look at it at that level you see that everything is vibrating—you see that energy is vibration. Energy is life. That’s all living things: the rocks are alive, everything is alive, we’re all interconnected. When we do something we have to be mindful of the ripple effects. The first human civilizations, in Egypt and Mesopotamia, were monument builders. These projects like the pyramids were typically done for one human being. They were great achievements for human beings and architecture, but it was human beings putting themselves at the top of the food chain and forgetting about being a part of the whole. That’s problematic in our modern times. Ktunaxa were simply never monument builders. There was no room in our world for that. And that’s part of the problem that Ktunaxa are having with Oberti calling Jumbo his cathedral. He is monument building to himself. That’s the clash with our world view. Read on with part two over at Kootenay Mountain Culture and part three. Photos, top to bottom: Pat Morrow, Skip Moss, PM, SM, Ian Cobb.